We need to grow new farmers – Sugar vs the Reef ? En route to Mackay, we stopped in Rockhampton. There, perusing the local newspaper, I noticed this article. 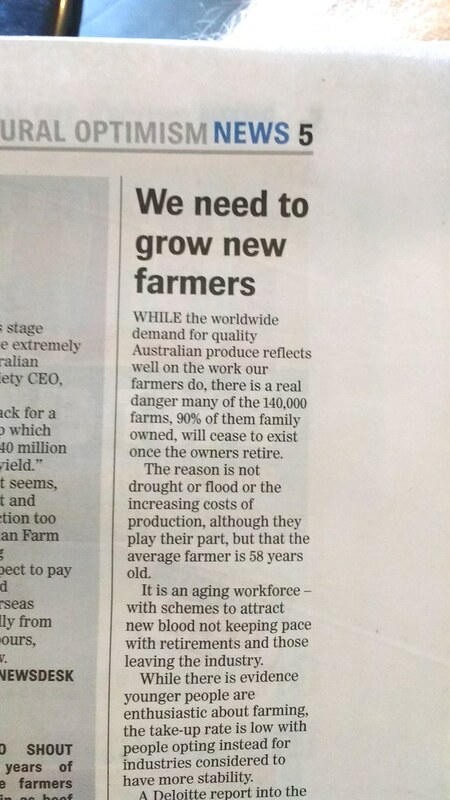 Across 140,000 farms in Australia, 90% of which are family-owned, the average age of farmers is 58. When they retire, many of these farmers will not be replaced by their children. What then?